Wedding PR: Brit + Co, SheFinds, Travel Channel, and more! We’ve got quite the roundup of press features for you this week and we can’t wait to share! Read on for a look at some of our favorites, including Brit + Co, SheFinds, and Travel Channel! Rochelle Cheever Photography was featured on Brit + Co in the roundup, 20 Jaw-Dropping Wedding Photos That Will Make You Want to Elope ASAP. See the full feature here. Taylor’d Events Group was featured on Catersource with her guest article, Sales Training: If you don’t know the answer, find it! See the full feature here. The International Academy of Wedding and Event Planning was featured on SheFinds in the roundup, The Top 7 Wedding Color Combos for 2017. See the full feature here. 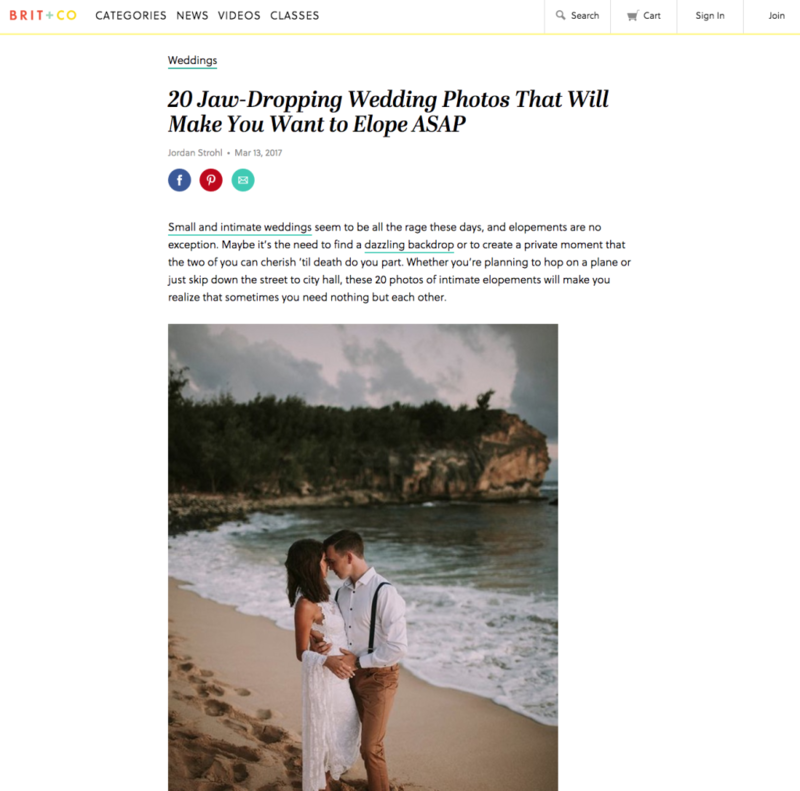 Nahid’s Global Events, Cocoon Events Management Group, Destination Weddings Travel Group, Passport to Joy, Be Photography, Rochelle Cheever Photography, Sunshower Photography, and Mike B Photography were featured on the Travel Channel in the article, What to Pack for Your Destination Wedding. See the full feature here. OFD Consulting was featured on Catersource in our guest article, Is It Time to Hire a PR Agency? See the full feature here. Kaysha Weiner Photographer was featured on Wedding Chicks with her real wedding, Fun Colorful Modern Wedding at The Fig House. See the full feature here. Cocoon Events Management Group was featured on AllSeated in their guest article, How to Spark Your Wedding Inspiration. See the full feature here. Kaysha Weiner Photographer was featured on Ceremony with her real wedding, Real Wedding: Emily and Christopher. See the full feature here.